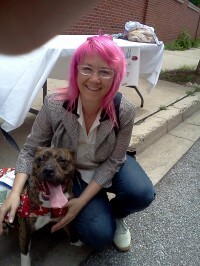 The Pints for Pits event was a great success! My portrait was won by the events host, lucky! Many attendees and bidders and some super sweet Pits up for adoption. Lee begged me to take JuJu home. What a nice boy!